← Stone Mountain: North Carolina’s Mini-Yosemite! Ah, Kansas, that much maligned road tripping state. How many times have you heard somebody gripe about having to drive across Kansas? I’ve crossed Kansas at least five times and I’ll let you in on a secret: Kansas is one of my favorite states. Part of my love for Kansas is nostalgic: this is where I first discovered “Blue Highways”. In 2005, on my very first cross-country road trip from Pennsylvania to Oregon via the Grand Canyon, we took I-70 all the way across the country until Kansas exit 238, where we detoured south to camp for the night at Kanopolis Lake State Park. Kanopolis was a nice enough place, meant for fishermen. We took a nice stroll along the lakeshore and young Bowie got a swim. The next morning, we decided to head west on a small county road – a yellow road, on my Adventure Atlas, which actually shows Interstates in blue – to the Barbed Wire Museum in La Crosse, Kansas. The Dog & Cow House: One of the many ruins along the back roads in Kansas. That drive changed my life. Until then I had believed what I had always been told: Kansas is flat and boring and best hurried through on your way to better places. The truth: Kansas is epically beautiful. The vistas are huge, the wildlife abundant, and wherever you hike or camp, you’re almost guaranteed to have the place to yourself. Along the way you pass through ramshackle small towns full of character and countless abandoned Little Houses on the Prairie, all with their own stories to tell. Best of all, on back roads in Kansas everybody waves. In my well-traveled opinion, (all 50 states, over a dozen cross-country trips) Kansas is one of the best road tripping states! 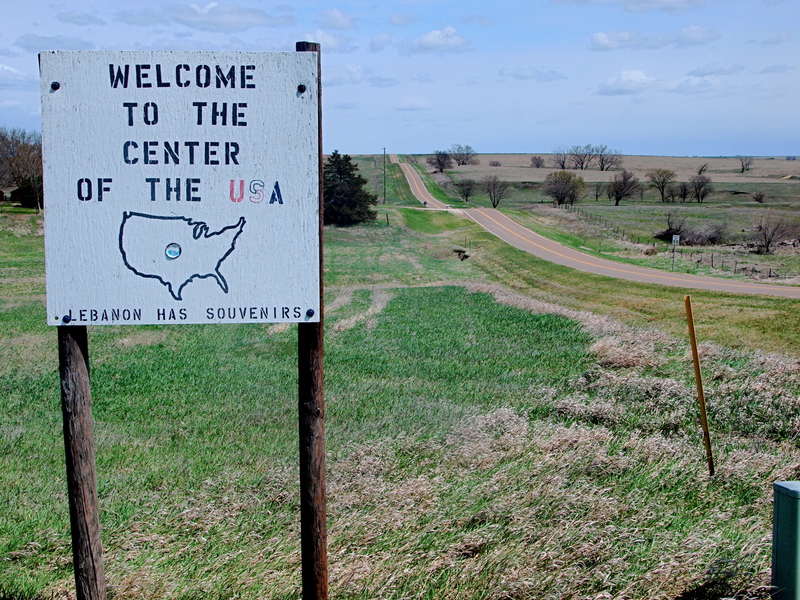 The Center of the U.S.A.! On this most recent drive across Kansas I camped at Elk City State Park, near Independence, at the Big Basin Prairie Preserve near Ashland and in Cimarron National Grassland, near Elkhart. With respects to the other two spots, which were both lovely, Big Basin might have been one of my all-time best campsites ever. Elk City cost me $15 for the night. The other two spots were free. 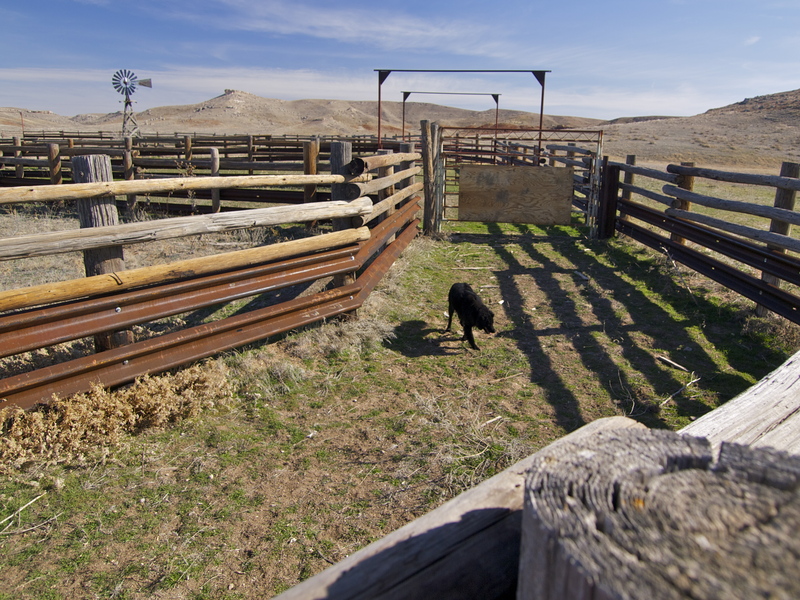 My free Cimarron site. I loved listening to that windmill all night! My free Big Basin campsite. What a view! Oh, the stars! My morning and evening hikes at Big Basin were incredible: between the two I took over 300 photos! Big Basin is a giant mile-wide sinkhole, created when the underlying layers of gypsum and salt dissolved and collapsed into a 100-foot deep bowl. See? Who says Kansas is flat?! Shadow Shot On the Edge of the Big Basin. We’re heading down to that windmill and corral below on the left. Working Windmill! 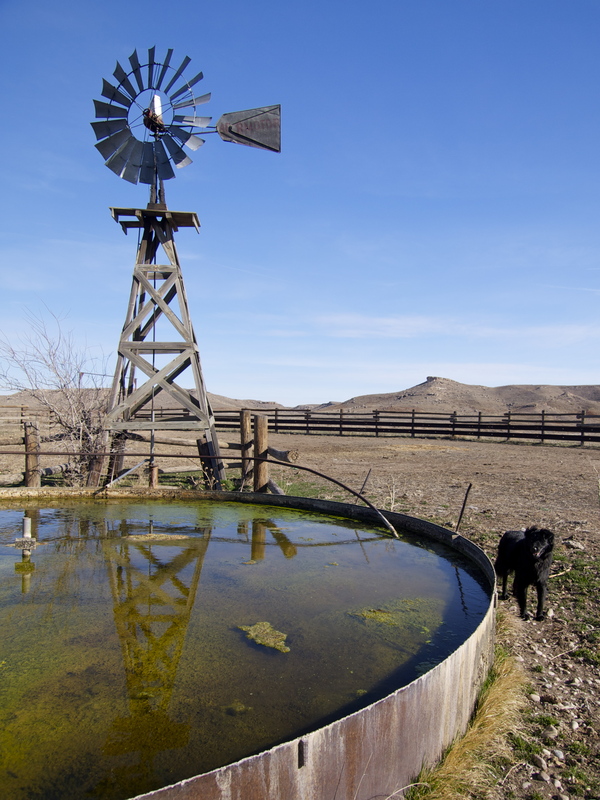 Windmills are the Oases of the Plains: the wind-turned blade turns a crank that runs a pump that brings up water from deep underground. Big basin Cattle Chutes. This is not a happy place. Treasure! 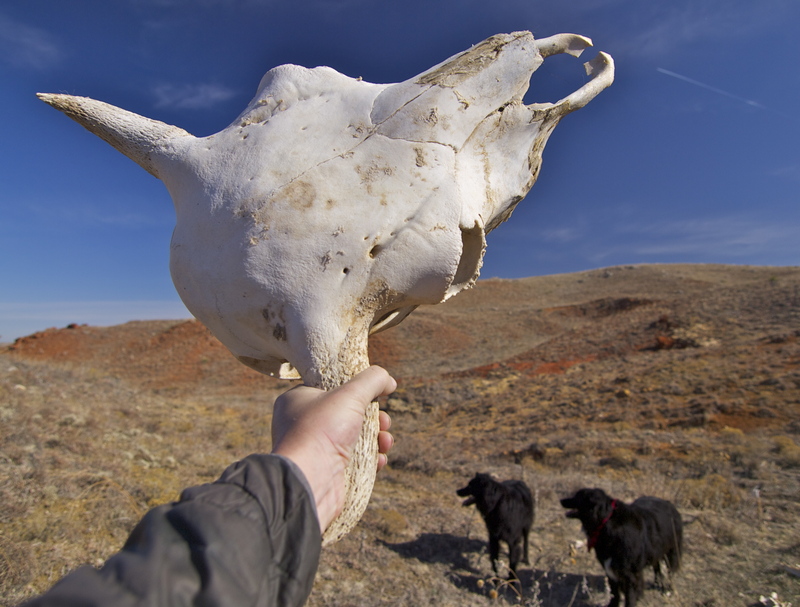 This is the first intact cow skull I’ve ever found. 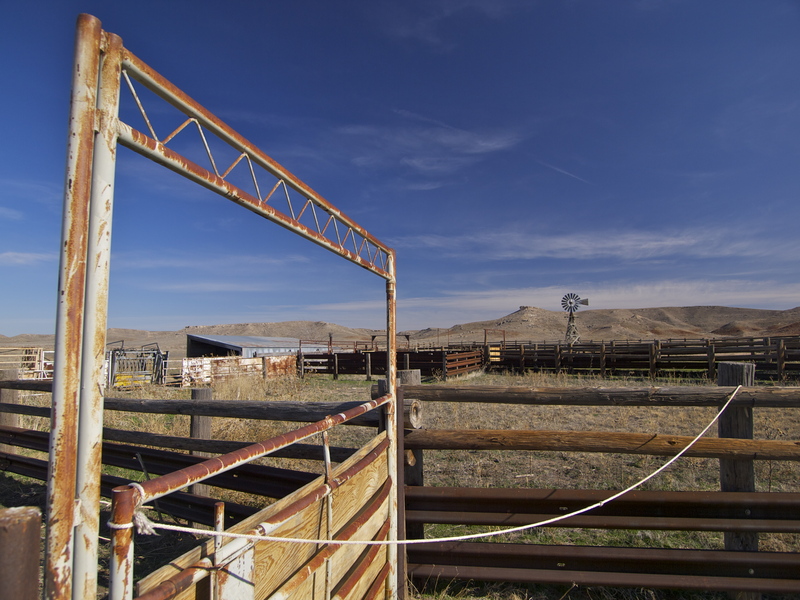 The rest of him was scattered in a draw a half-mile from the chutes. 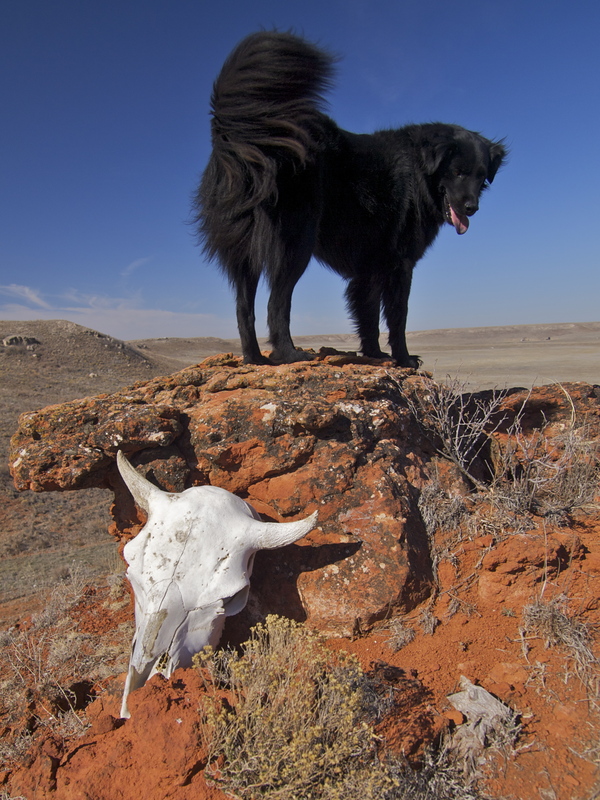 The skull stank wayyy to much to keep so I stashed it up on a bluff far from a path, where I might revisit it someday. Big Basin D.O.G. Desert dog Dio was so thrilled to be back in open space! Me too, Dio, me too. 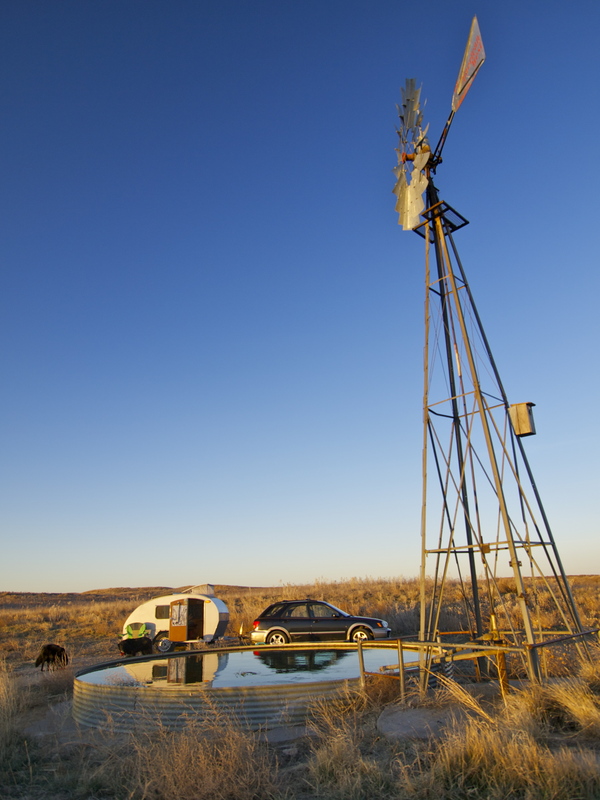 This entry was posted in Bowie & D.O.G., Hiking!, Photography, Road tripping!, Teardrop Trailer, Vagabonding 101. Bookmark the permalink. Awesome pictures! Having grown up in Oklahoma, I have similar feelings about the beauty of that kind of landscape. I used to love being able to watch storms roll in from half-way across the state. Thanks for sharing this! I couldn’t agree with you more; Kansas is beautiful! I’ve made a few trips across Kansas on my way to and from Colorado. I always avoid I-70 like the plague. Living in Indiana, I always feel boxed in by not being able a distant horizon. It is magical to watch a distant thunderstorm roll across the plains. I have always found good places to camp for free at state or national properties. 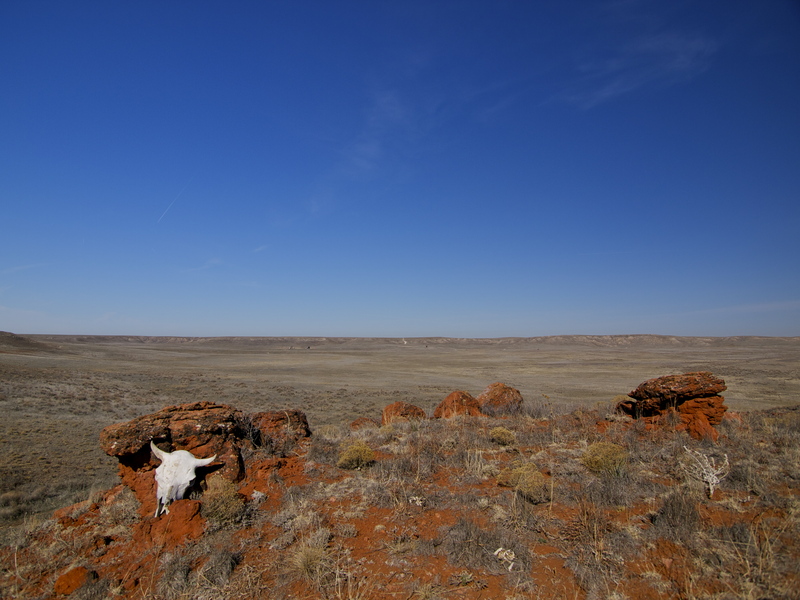 I also have a love affair with the high plains of eastern Colorado for the same reasons. Keep burning up the back roads and sharing your adventures with us. Oops! I meant to say: Living in Indiana, I always feel boxed in by not being able to see a distant horizon. Great post Mary, I have ordered the Blue Highways book and look forward to finding lots of treasured places to check out along the road. Looks like a beautiful place will have to check out one day. Amazing pictures! Just stunning….you showed a whole new look for Kansas. Had to share with my friend Rob who too is a fan of Kansas. I’ll be sure to take the 2 lane route for sure! “Big Basin is a giant mile-wide sinkhole, created when the underlying layers of gypsum and salt dissolved and collapsed into a 100-foot deep bowl.”…this is why I love your blog. It’s fun to hear about your adventures, but your thoughtfulness and detail are truly the icing on the cake. 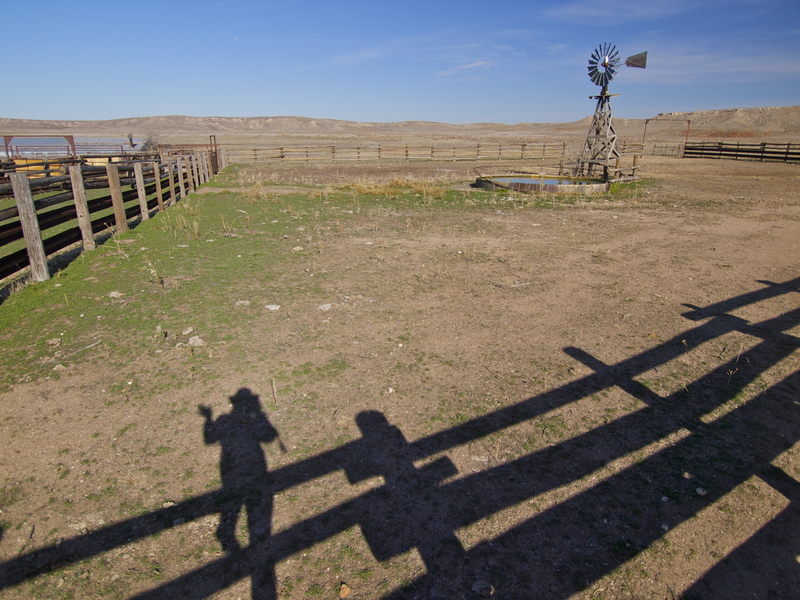 You’re right about about Kanopolis being for the fisherman, but towards the north end of the lake is Horsethief Canyon with an excellent hiking/ equestrian trail. If you are persistent and sneaky, you can find the old Native petroglyphs carved into the sandstone walls. The best campsite on the lake, on a little hill looking over almost the entire lake, was changed to a day-use only area. One of my favorite places in my home state. For my roadtrip to Kansas.